Throughout his career with such films as The Embalmer and Gomorrah, Garrone has received a reputation of presenting a more obscure and often dark view of Italian society. Dogman does not come short in delivering that. Set in a small beach town the story follows Marcello; a middle aged father who is divorced but wants nothing more than to be in his daughter’s life, a dog salon owner/groomer, an adorably tiny man, and also a part time coke dealer on the low. Marcello has pretty much only one customer as far as the cocaine goes. However, the customer, Simone, is less of a customer and more of a really big buff guy that sometimes extorts Marcello for coke, is notorious for wreaking havoc on the small town, and always wears a track jacket all the way zipped up to the bottom of his chin. As far as the dog business goes though, Marcello has many clients and grooms dogs of all shapes and sizes ranging from Great Danes, Pitbulls, and even one dog with dreadlocks! Unfortunately, instead of focusing solely on the dog grooming aspect, the film shifts to focus on the power relationship between Marcello and Simone once Simone is driven to a breaking point. Spoiler: Dog is okay though! If you’re somebody that doesn’t really love Jonah Hill and maybe even feel like you hate him sometimes, this movie might make you feel bad about that because it is really impressive. Alongside Bo Burnham’s Eighth Grade, Mid90’s is the second outstanding coming-of-age movie about a thirteen-year-old to have been released production company A24 in the past few months. Mid90’s, shockingly, is set in mid-nineties Los Angeles and depectics the troubled home of Stevie. Stevie lives with his mother and older brother Ian, whose one thing in life that he enjoys more than beating up Stevie is drinking orange juice. The bulk of the film focuses on Stevie as he immerses himself in skate culture while trying to define his identity and escape his home. Quickly received by another young skater, Ruben, Stevie is accepted by a local group of skaters lead by two aspiring pros Ray and Fuckshit, and their cameraman Fourth Grade. As Stevie become progressively more invested in skating and those he skates with, he is faced with the challenges of navigating a social science of older people, the way this changes him, as well as how these changes and new habits deteriorate his relationships at home. 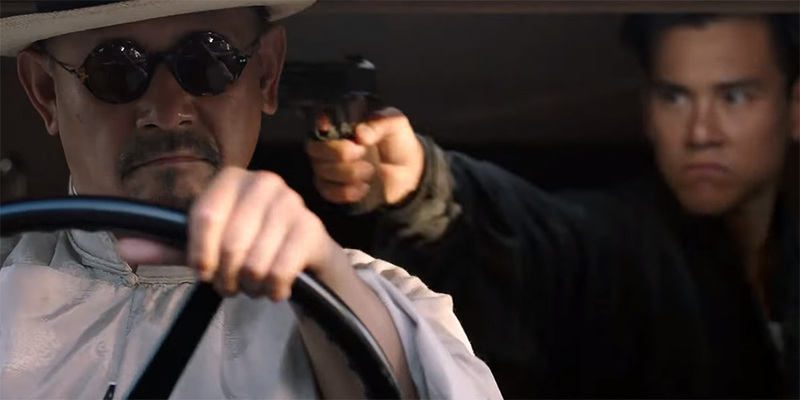 I really like Jiang Wen and most of his movies, so I don't want to be mean but I really did not enjoy this. The action and fight sequences were amazing per usual with Jiang’s films, however the attempt at action comedy is ruined by some truly awful performances. Personally this wasn't for me, but maybe if you want like a Chinese version of Kingsman or something, then this might be for you.